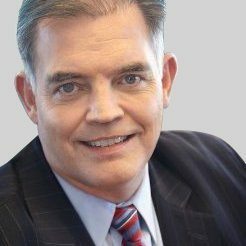 Last December, Chuck Prow joined Vectrus, a leading, global government services company with a history in the services market that dates back more than 70 years. The company provides facility and logistics services along with information and network communication services to U.S. government customers around the world. This background was a natural fit for Prow, a 30-year industry veteran who’s held leadership positions at companies such as IBM Corporation, PricewaterhouseCoopers, and Coopers & Lybrand. Why watch: Prow will leverage his experience and skill set to build on what Vectrus has already achieved. He plans to create a higher-value platform through strengthening the IT competencies of Vectrus and by fusing the physical and digital aspects of its clients’ facility and logistics missions.